San Francisco veteran psych-garage rockers Thee Oh Sees were recently featured at The Fader-curated free concert series, “Step Into The Black,” sponsored by Captain Morgan Spiced Rum. The Fader is known for bringing music fanatics (like us!) 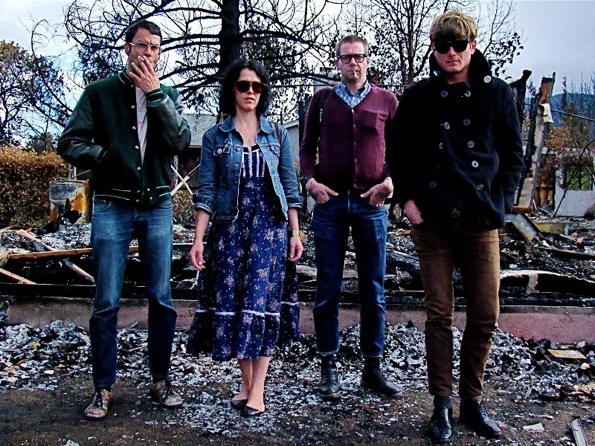 the 411 on cutting-edge music, and Thee Oh Sees certainly fall into that category. Keyboardist/vocalist Brigid Dawson is featured in an exclusive Fader interview, giving the lowdown on being a woman in a man’s garage rock world. The Fader also captured Thee Oh Sees’ dynamic, raucous live performance on video and is providing free MP3 downloads from the show at Captain Morgan’s Facebook page. Thee Oh Sees’s new EP, Putrifiers II, is scheduled for release on September 11, 2012 from In The Red Records and they’ll also be at Outside Lands this August.